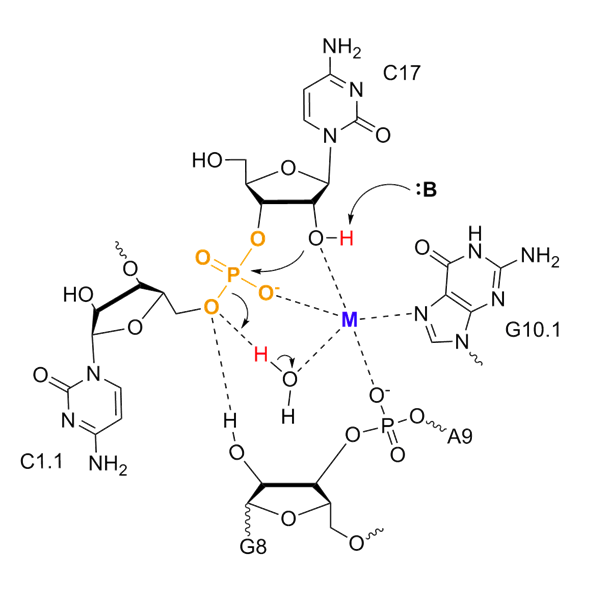 We are investigating Pt(II) reagents to probe RNA structure and RNA-small molecule interactions. Check out our research using Pt(II) compounds and RNA. We also use click chemistry to identify, tag, and purify platinum targets. Check out our section on using platinum with a clickable reactive handle as well as the diverse set of clickable reagents we use. RNAs that catalyze chemical reactions, or ribozymes, are fascinating examples of unusual biological processes. We use mechanistic and spectroscopic approaches to explore RNA catalysis. Emily Sutton joins the DeRose lab! Jon White successfully defends thesis!